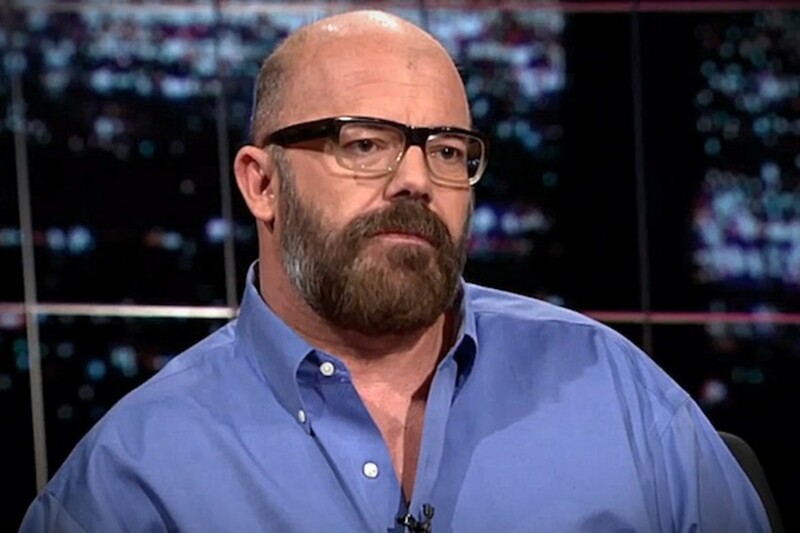 LAS VEGAS, NV: Andrew Sullivan is all over the news after announcing he’s going solo, parting ways with Tina Brown shortly after she put a pillow over Newsweek’s face. But in all the media excitement over Sullivan’s decision to rely on the much-maligned subscription model for his revenues ("bold experiment!"... "A thrill!"... "a flag of hope for every writer!"... "a dramatic stand!"...) no one raised the most obvious question of all: Why would subscribers pay to support one of the most colossal serial-failures in American journalism of the past two decades? Reports claim that Sullivan has already raised $400,000 from his readers. If Sullivan really has raised this much money, and if his subscription model genuinely succeeds thanks to tens of thousands of subscribers supporting his work, it means we’re witnessing something new and deeply disturbing: "mutualised"unaccountability (to use one of their idiotic neologisms); the democratization of rewarding media failure and fraud. Sullivan is getting away with it and profiting from failure thanks to two key elements to his media business model: Blogger cronyism, providing a network of media suckups all too eager to offer free PR to Sullivan’s business in the hope that "Sully" will logroll back at them some day; and the American public’s amnesia. I happen to know just how rotten Sullivan is because over at the S.H.A.M.E. Project, we just published a profile on one of the most rancid political figures of our time, Charles Murray — a vicious right-wing sociopath and racial eugenicist who got his start as a counter-insurgency expert during the Vietnam War, using starvation and crop destruction as a means of "behavior control" on restive Thai villages. Murray’s fraudulent racial eugenics theories "proving" that blacks and Latinos are genetically inferior gained a foothold in mainstream discourse, thanks to Andrew Sullivan. What’s more disturbing is that even as Sullivan has disavowed some of his far-right causes of the past — like smearing critics of America’s wars as traitors, denouncing "decadent" coastal America, denouncing what he called the "libidinal pathology" of gay sexual culture, smearing anyone not with the Likkud program as anti-Semitic, and so on — the one far-right belief he won’t let go of is racial intelligence, "human biodiversity" and the whole range of rancid Nazi eugenics revived in 1994 by Charles Murray’s discredited book, The Bell Curve. 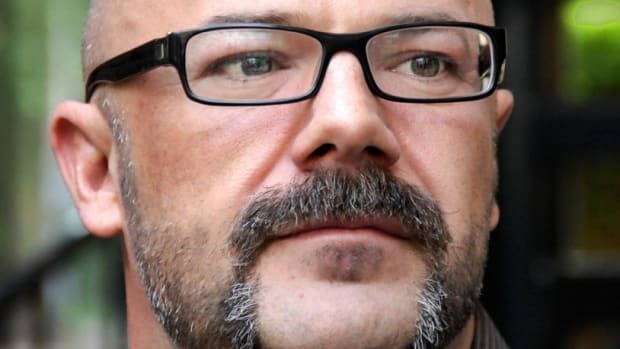 The horrible irony is that thanks to our collective amnesia, most people today mistakenly identify Andrew Sullivan’s punditry with intellectual courage — that he turned against Bush’s war earlier than most of his fellow neocon pundits, supposedly at great risk to his reputation and "brand" because he turned on the very same bloodthirsty war mob he&apos;d been organizing and firing up for years — lending him contrarian credibility... despite his record of viciously attacking critics of Bush’s war as traitors, collaborators with terrorism and evil, at a time when being targeted as a national traitor by a major media figure like Sullivan was genuinely dangerous to a critic’s career. 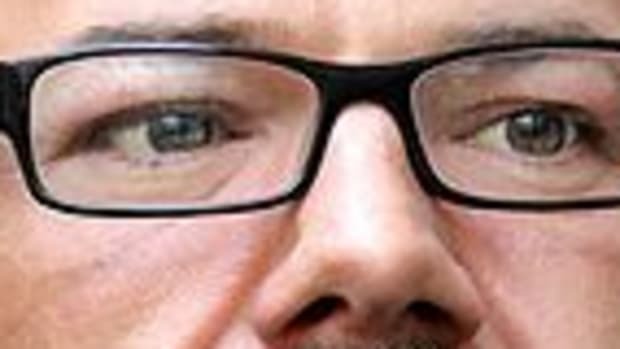 People are already forgetting the ugly explosion of McCarthyism in this country around the invasion of Iraq and the months afterwards, just as they’ve forgotten the attack dog role that Andrew Sullivan played in all of that, before his allegedly "brave" turn away from Bush and towards a safer weathervane politics of libertarianism and Obama-boosterism. Almost immediately, Sullivan proudly took credit for running one of the most damaging right-wing hit jobs against genuine investigative journalism of the past few decades: A New Republic cover story fraudulently "debunking" the October Surprise story. Briefly: In 1991, PBS’ Frontline ran an investigation making a strong case that top Reagan officials cut a secret deal with Ayatollah Khomeini’s agents during the 1980 election campaign, in which the Iranians promised to help Reagan defeat Carter by holding on to the American hostages until after the elections, and in return, the Reagan Administration would arrange secret arms shipments to Khomeini for his war with Iraq. Carter was unable to work out a deal with Iran; Reagan won the election; and the hostages were freed during his inauguration ceremony; and the secret arms shipments to Khomeini became the Iran-Contra Scandal. By late 1991, the evidence of an October Surprise was so great that a Congressional committee was formed to investigate. 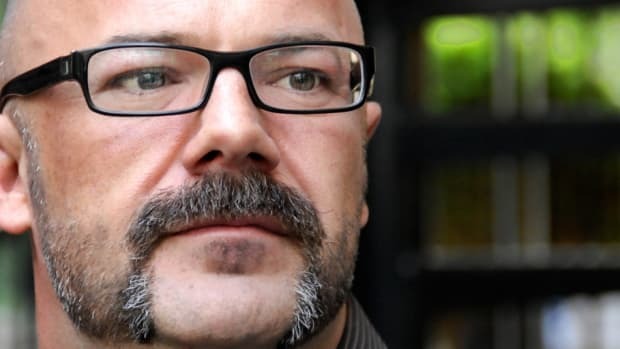 That’s when 28-year-old Andrew Sullivan hired Steve Emerson — recently named one of America&apos;s five most influential promoters of Islamophobic hate propaganda, cited twice by Anders Breivak in his manifesto — to "debunk" the reporting on the October Surprise with a cover story headlined "What October Surprise?" that relied on invented evidence later exposed as fake and disowned even by Emerson. Sadly, such tactics have had their intended effect on the conventional wisdom. The October Surprise is now a laughable non-story, and a deep chill blows over any press investigation of recent covert history. Washington Monthly editor Jon Meacham summed it up in a recent unrelated story (7-8/93), when he dismissed a persistent media factoid as "like the October Surprise: enduring yet wrong." Ironically, in media circles, it is Steve Emerson&apos;s dismissal of the October Surprise that turned out to be enduring--even though much of his evidence turned out to be wrong. But it was in 1994 that Andrew Sullivan’s recklessness and media fraud went berserk. First, he published a devastating three-part series destroying President Clinton’s universal health care legislation, articles that are generally considered the reason why "Hillarycare" failed to pass. The author, a Republican operative from the rightwing Manhattan Institute named Betsy McCaughey, had secretly prepared her articles in cooperation with Philip Morris (much of Hillarycare coverage was to be funded by hiking tobacco taxes). McCaughey&apos;s article, "No Exit," won for The New Republic that year’s National Magazine Award. However, her articles were complete frauds; not journalism, but the very opposite of journalism: Tobacco industry propaganda designed to kill off health care for Americans in order to protect big tobacco profits. "Worked off-the-record with Manhattan [Institute] and writer Betsy McCaughey as part of the input to the three-part expose in The New Republic on what the Clinton plan means to you. The first part detailed specifics of the plan. The second part, to be published imminently, will focus on the impact the Clinton bill will have on cities. She will explore why medical education will decline, why teaching hospitals will be driven out of business, why regional health alliances will shift the cost of caring for the poor off the federal budget onto the backs of urban workers and their employers, and why discontinuing Medicaid and enrolling the disadvantaged in HMO&apos;s will fail. Betsy is also working on a comparison of the other proposals, what an "ideal" bill should include, and what kind of reform Congress is likely to give us." The articles were so full of obvious lies and embarrassing flaws that in 2006, The New Republic publicly recanted. But as with the October Surprise smear, the damage was done — health care reform was dead for another 15 years. When you consider that a recent study estimated 45,000 Americans die every year from lack of health care coverage, and you multiply that by the nearly two decades since Andrew Sullivan helped kill Clinton&apos;s health care reform, you start to understand who the real terrorist is. But that&apos;s no sweat off Sully&apos;s whiskers: The pattern, set early, proves that no matter how hard he fails, no matter how disastrous the consequences for journalism or his adopted country, Sullivan&apos;s career advancement is guaranteed to keep rising. Journalism, schmournalism: He&apos;s a proven reliable waterboy for the tobacco lobby and the Republican Right, what value can journalism have that can possibly compete with that? I think the magazine&apos;s refusal to be mau-maued by the Clintons at the time - and Hillary was threatening blue murder against anyone who so much as dared to criticize her - is a feather in the magazine&apos;s cap. We weren&apos;t "out to get the Clintons." Some of us - well, two of us - were merely worried that America&apos;s excellent private healthcare system would be hobbled by too much government regulation. I am glad we helped head off the Clinton-Magaziner behemoth. Proud, actually. That same year, another Manhattan Institute alumnus named Charles Murray published a book "proving" that blacks and Latinos are genetically inferior to other races in intelligence. The racial eugenics in The Bell Curve has since been thoroughly debunked as "academic fraud" and worse — as ABC News, FAIR and others reported, a large portion of the evidence used to support the The Bell Curve came from research funded by a notorious white supremacist foundation called "The Pioneer Fund." That fund’s first president, Harry Laughlin, helped craft the 1920s laws restricting Jewish immigration, after Laughlin testified before Congress that 83% of Jewish immigrants from southern and eastern Europe were born "feeble-minded." "What is called for here is not genocide, the killing off of the population of incompetent cultures. But we do need to think realistically in terms of the &apos;phasing out&apos; of such peoples...Evolutionary progress means the extinction of the less competent...Who can doubt that the Caucasoids and the Mongoloids are the only two races that have made any significant contributions to civilization?" As with Betsy McCaughey’s and Steve Emerson’s articles, The Bell Curve has since been thoroughly discredited as intellectual fraud of the rankest sort. Most of Bell Curve&apos;s early boosters of the Richard Cohen variety long ago realized that it was the wrong bandwagon to ride on, and probably wished no one remembered how much they&apos;d sung its praises. And yet despite that, Andrew Sullivan proudly stands by Charles Murray&apos;s book and racial eugenics. That, by the way, was the same damage-control strategy used by Sullivan&apos;s hero, Charles Murray: when ABC News questioned Murray about his reliance on so many neo-Nazi quacks to back up The Bell Curve, Murray "accused [ABC] of being on an intellectual witch hunt that would have a pernicious effect on research." The right response to unsettling data is to probe, experiment and attempt to disprove them - not to run away in racial panic. But the deeper problem is that the racial aspects of IQ have prevented non-racial research into intelligence, and how best to encourage, study and understand it. "Eugenics isn&apos;t a crime," Jensen has said (Newsday, 11/9/94). "Which is worse, to deprive someone of having a child, or to deprive the child of having a decent set of parents?" Elsewhere, Jensen has worried "that current welfare policies, unaided by genetic foresight, could lead to the genetic enslavement of a substantial portion of our population." After about a year [Glass] became an intern at The New Republic, working as an assistant to Andrew Sullivan, who preceded Michael Kelly as the editor. It was not a particularly stimulating job, involving administrative tasks such as answering the phone, answering correspondence, and an occasional personal errand for Sullivan. Glass did little actual writing under Sullivan, but did complete assignments on disputes over governmental subsidies for cheese and on presidential candidate Bob Dole’s handlers. For the second time in less than a year, the New Republic has admitted that one of its most prominent young writers copied material previously printed in another publication. The weekly political magazine said that in both instances, Ruth Shalit confused other writers&apos; material with her own after transferring their stories into her computer. In an item headlined "Oops" in the July 31 issue of the New Republic, the magazine wrote: "In Ruth Shalit&apos;s article on [potential Republican presidential candidate] Steve Forbes, several phrases were inadvertently reproduced from an article by Paul Starobin in the National Journal, June 3." The apology reprints three sentences from Starobin&apos;s piece along with three from Shalit&apos;s.
"I thought [the apology] was kind of lame," Starobin said Friday. "The &apos;Oops&apos; thing makes it sound like they slipped on a bar of soap." Last September, the New Republic published an editor&apos;s note saying "some information" in a Shalit story in July had been "drawn from an article by Dan Klaidman that appeared in Legal Times on April 12." 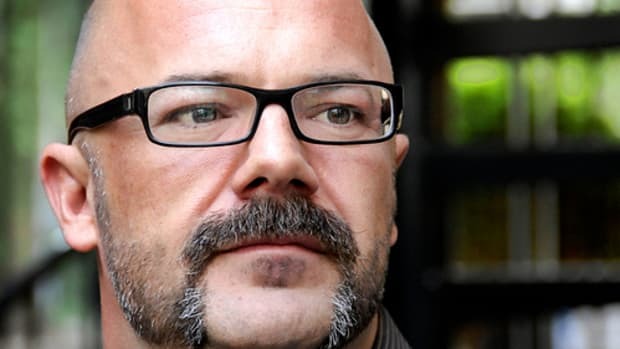 New Republic Editor Andrew Sullivan said Friday, "Inside the magazine, we have taken this very seriously," though he did not say if disciplinary action would be taken. You can probably guess by now how seriously Andrew Sullivan took (and takes) journalism fraud, but I have to admit, what happens next is not just brazen or bold or aggressive, it’s completely psychotic. But the worst failures were Shalit’s race-baiting inventions. For example, a black WaPoreporter named Nathan McCall had just published a memoir about his path from crime to journalism, including a three year stint in prison. In his memoir, McCall recounted how the first time he tried getting a job with The Washington Post, he was rejected because he’d tried hiding from them the three "missing" years spent in prison. After building up his credentials with a local paper in Atlanta, McCall returned for more follow-up interviews with the Post, no longer trying to hide his prison past. Instead of hiding it, he faced up and spent his efforts on trying to convince the WaPo editors that he’d genuinely transformed himself, that he was reliable and serious about his commitment to journalism. After a long rigorous process, McCall was finally hired. Nathan McCall, author of the 1994 autobiography Makes Me Wanna Holler, is aPost reporter currently on leave from the paper. In 1987, when the Post tried to hire McCall from The Atlanta Journal-Constitution, editors at the paper inquired about a three-year gap in his resume. He told them he had spent the time traveling and "finding himself." In fact, he&apos;d been serving a prison sentence for holding up a McDonald&apos;s at gunpoint. Post editors upbraided him for being less than honest but hired him anyway. Despite this kid-glove treatment, McCall, too, claims his career at the Post has been marred by racism. "Because of the myths, I could never seem to settle down and relax and write with flair the way I knew I could under normal circumstances," he wrote. "Nobody makes allowances for black folks anywhere." One commenter pointed out that, to understand just how vile and misleading Shalit&apos;s smear was, in 1978, when McCall was in prison, only 4 percent of reporters were black; in 1993, a year before his book was published, just 4.3 percent of reporters were black. The backlash Shalit hyped and Sullivan promoted as fact was nothing but literary fraud, James Frey under the guise of mainstream journalism in the liberal institution, The New Republic. To prove that "racial sensitivity" was ruining the Post’s reporting, Shalit claimed that the Postintentionally censored news that a black "crony" of Mayor Marion Barry named Roy Littlejohn had "served time for corruption." Ruth Shalit&apos;s October 2 article, "Race in the Newsroom," erroneously reported that Marion Barry supporter Roy Littlejohn "served time for ... corruption." Mr. Littlejohn was neither indicted nor imprisoned. The New Republic regrets the error and apologizes to Mr. Littlejohn. Turns out Ruth Shalit, like Betsy McCaughey, like Charles Murray, and like Andrew Sullivan, was another right-wing movement mole. An article called "The Sisters Shalit" published inForward described both sisters as radical-right Jews whose father, Sol Shalit, emigrated from Israel to study economics at the University of Chicago, home to Milton Friedman and the birthplace of libertarian/neoliberal economics. Ruth’s sister, Wendy Shalit, led a crusade against her college’s co-ed bathrooms, and against women who wear skirts above their knees, and against the student campus Passover celebration, which she complained had been "bastardized to celebrate lesbianism." Sister Wendy spent her college summers interning for Bill Kristol (back when Kristol was known as "Quayle’s Brain"), and Dinesh D’Souza. "The middle part of the country—the great red zone that voted for Bush—is clearly ready for war. The decadent Left in its enclaves on the coasts is not dead—and may well mount what amounts to a fifth column." "...the enemy within the West itself—a paralyzing, pseudo-clever, morally nihilist fifth column that will surely ramp up its hatred in the days and months ahead." And here we are in 2013, more than two decades after Andrew Sullivan burrowed into this country&apos;s journalism world, or what&apos;s left of it anyway. Today, 22 years after Sullivan was handed the keys to his first car, what&apos;s left of my profession has one collective groveling question for him: "Is Andrew Sullivan the future of journalism?" "[Al Gore]&apos;ll say whatever he thinks will get him power or attention or votes. How else to explain his sudden U-turn on Iraq? Two years ago, he was demanding that Saddam must go. Seven months ago, he was calling for a &apos;final reckoning&apos; with Iraq, a state that was a &apos;virulent threat in a class by itself.&apos; Now, with Saddam far closer to weapons of mass destruction, Gore is happy to see Saddam stay in place." "Saddam is claiming that the U.S. is a tool of Zionist forces that are trying to take over the whole world! This isn&apos;t like Hitler. It is Hitler. When a figure like this simply echoes Nazi language, why isn&apos;t there universal shock and derision?"